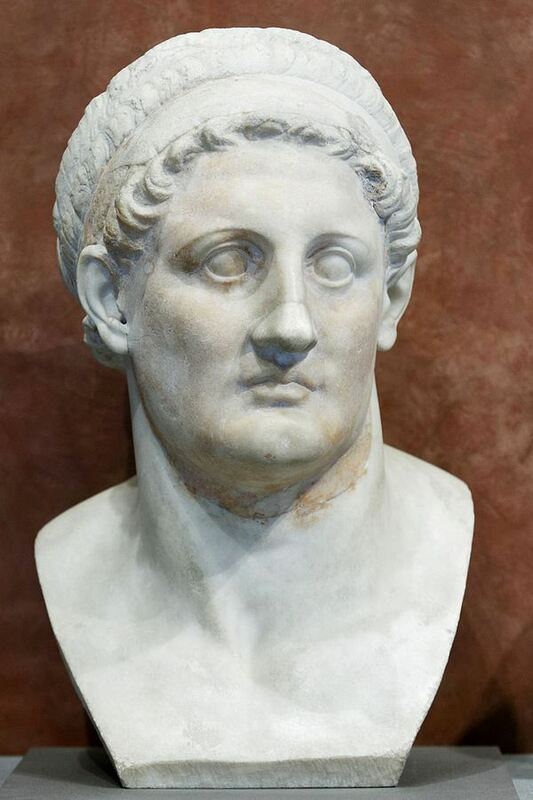 Ptolemaios I - also known as Ptolemy of Lagus - was a Macedonian Greek general under Alexander the Great, one of the three Diadochi who succeeded to his empire. Ptolemy became ruler of Egypt and founded a dynasty which ruled it for the next three centuries, turning Egypt into a Hellenistic kingdom and Alexandria into a center of Greek culture. He assimilated some aspects of Egyptian culture, however, assuming the traditional title pharaoh in 305/4 BC. The use of the title of pharaoh was often situational: pharaoh was used for an Egyptian audience, and Basileus for a Greek audience, as exemplified by Egyptian coinage. Ptolemy I Soter died in winter 283 or spring 282 at the age of 84.